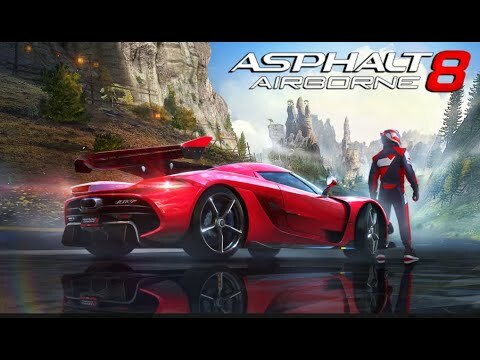 In Asphalt 8, drive some of the most classy and powerful cars and bikes in a world tour of speed. Discover a world of challenges and arcade! + More than 220 cars and bikes to burn out and burn nitro. + Elite manufacturers and licensed models such as Lamborghini Veneno, Bugatti 16.4 Grand Sport Vitesse, Ferrari LaFerrari, McLaren P1, Porsche 911 GT3 RS, Ducati Monster 1200 and more, including race bikes ! + New HD sounds for realistic sound immersion. + Customize and improve your racing cars with more than 2300 stickers to defeat your rivals and burn out! + Get out on the ramps, lead the race beyond gravity with your car or motorcycle! + Perform barrels and 360º jumps to dominate the competition. + Do crazy car or motorcycle stunts to maximize speed and find a fast path to the goal. + More than 40 high-speed circuits in 16 different locations, such as Venice, Guyana, Iceland, Nevada and other places to drive your car or motorcycle!